When a loved one dies, there are so many decisions to be made – and one of the hardest ones is what to do with all those things – precious material objects which identify your loved one, and bear witness to their life. 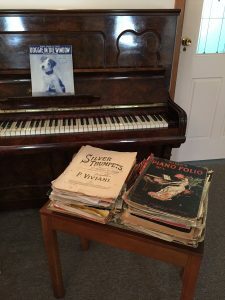 After mum died, I couldn’t face getting rid of all her precious sheet music – it seemed to be imbued with an almost sacred quality – so it was put into plastic boxes and kept in the garden shed. But as time went on, I realised something would have to be done. I’d already contacted local music lovers and offered the music to them, to no avail. 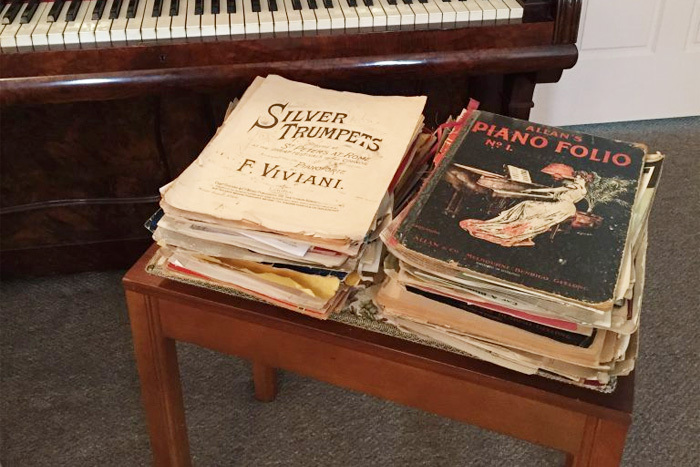 Material objects – things which we can touch and feel, which have belonged to our loved ones (such as the sheet music) allow us to keep their memory very close. Lovingly we can hold these items in our hands, treasuring the connection. 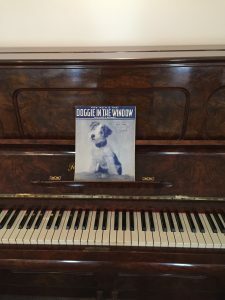 Now at last I’ve found a solution – what to do with mum’s music. For many years, I’ve been a passionate devotee of compost heaps – they’re the ‘life blood’ of my organic garden. I’m going to select just a few pieces of music to keep – ones I remember from childhood – and the rest I’m going to compost, mixed with generous layers of lawn clippings. When the paper sheets of music have eventually broken down, they’ll return to the garden, in another form, to enrich future plantings. That’s a very pleasing thought, because mum began the original garden here and now, her music will live on. What we do while waiting for rain!